They briefly clashed with left-wing activists at an anarchist book fair held at Boston University. 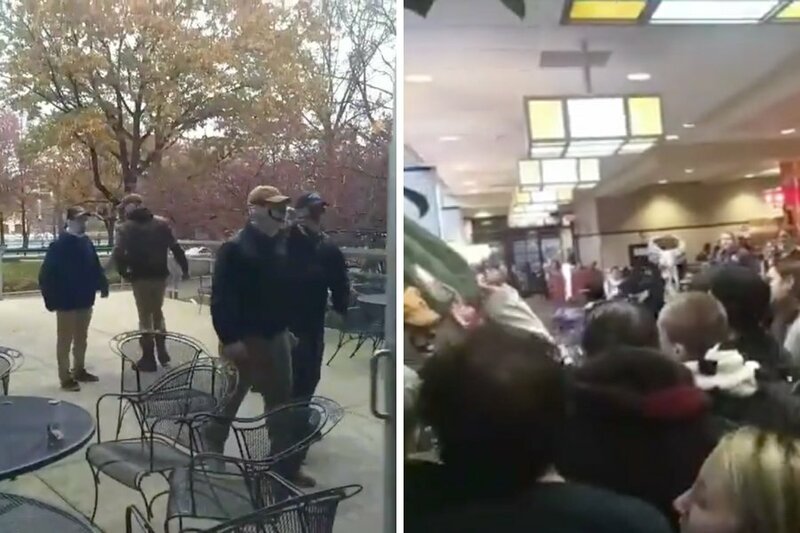 By Spencer Buell·	 11/20/2018, 11:05 a.m.
Video from the scene shows the men briefly confronted several dozen left-wing activists gathered inside BU’s George Sherman Union building, before a crowd shouting “Nazis out!” shooed them away. The disruption was over in a few minutes, and the men appear to have left the campus without incident. The clash came on the last day of the Boston Anarchist Bookfair, a two-day event organized by local anti-fascist groups and hosted by BU’s Center for Gender, Sexuality & Activism. Attendees were invited to peruse leftist literature and attend workshops on topics like community organizing and self-defense. Last year, several men with alleged ties to Patriot Front showed up to harass a similar event in Houston. This was only the latest clash between far-right and antifascist groups in major cities—and some of those clashes have gotten violent. The situation at BU fizzled, though, and no punches were thrown. Instead, the video shows, the fascism-aligned protesters quickly ran out of steam and stopped chanting, possibly noticing that they were outnumbered inside the student center. Some in the crowd can even be heard laughing as the men stood in an awkward silence. Then, confronted with jeers and a mass “Nazis out” chant, they left. Things could have gone very differently. One attendee said the bandana-clad men were antagonizing people inside, and mentioning the rhetoric anti-fascist groups use on social media. 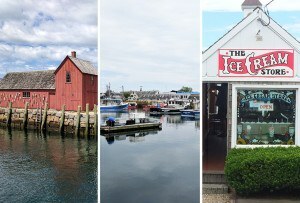 Mike, who asked me not to use his last name but identified as a member of the local branch of the Democratic Socialists of America, says Boston-area left-wing groups have come to expect that extremists on the right will try to tangle with them in public—usually with cameras, so they can film the mayhem if fights break out.